If you have basketball fans in your house, you know how exciting this month is! It’s time for The Big Tournament and we have fun and easy ideas to get your whole family involved. 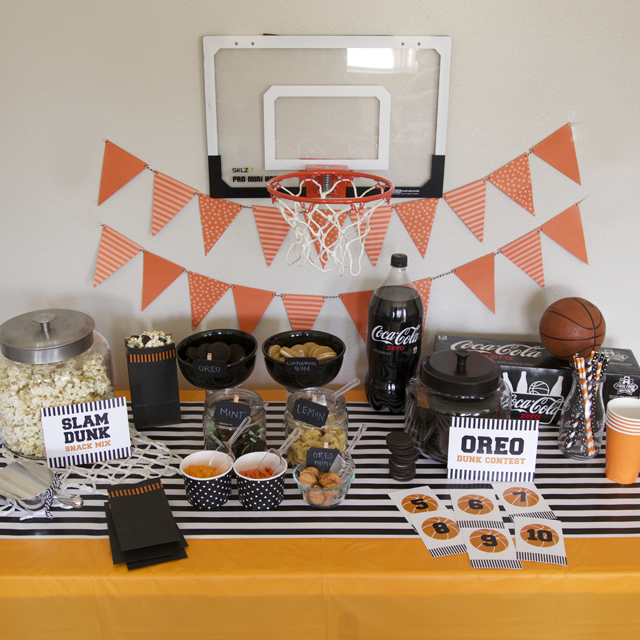 We kept the decor simple with our over-the-door basketball hoop and an orange triangle banner. Kids can help cut out triangles in your favorite teams colors and string them together to get ready for the game! 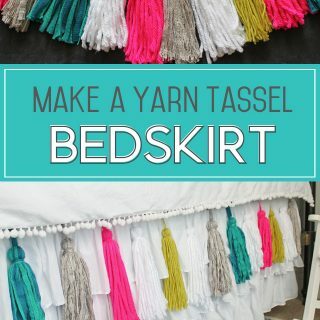 Grab a disposable tablecloth and add a wrapping paper runner for your table covering. Sports + snacks are an obvious winning combination. 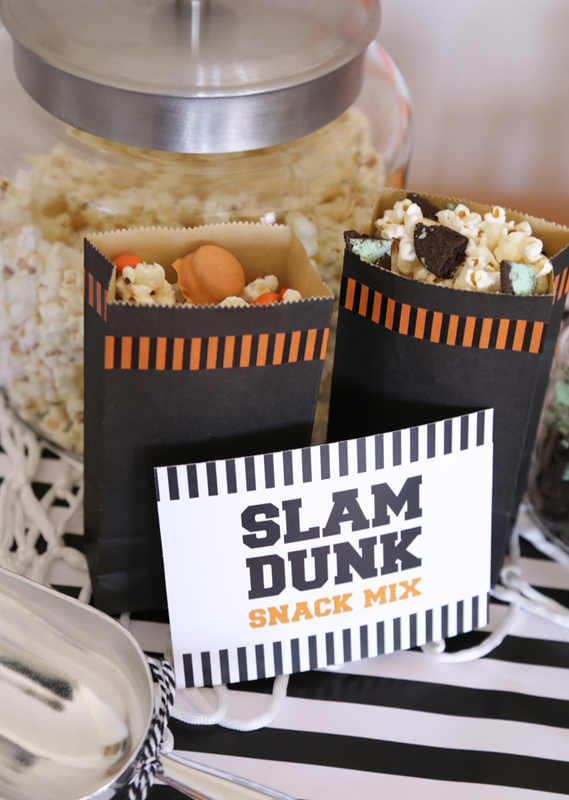 We set up a Slam Dunk Snack station with white chocolate popcorn and 4 different flavors of OREO cookies: Original, Mint, Lemon, and Cinnamon Bun. What are your favorites? To make the popcorn, simply melt 6 oz. of white chocolate chips and pour over 2 bags of microwave popcorn (or a large stove-popped batch). 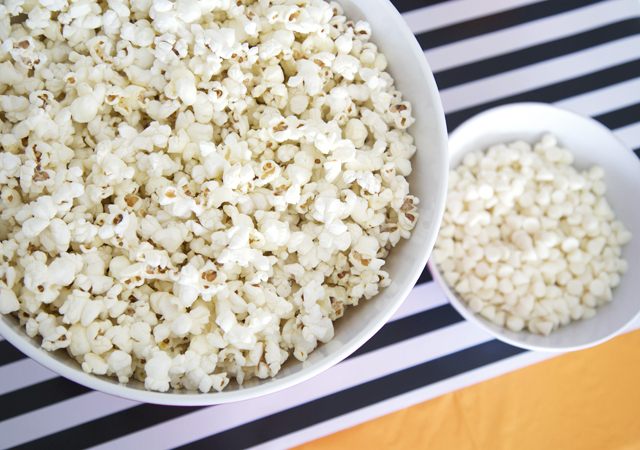 Quickly stir to coat all the popcorn and pour onto a lined or sprayed cookie sheet. 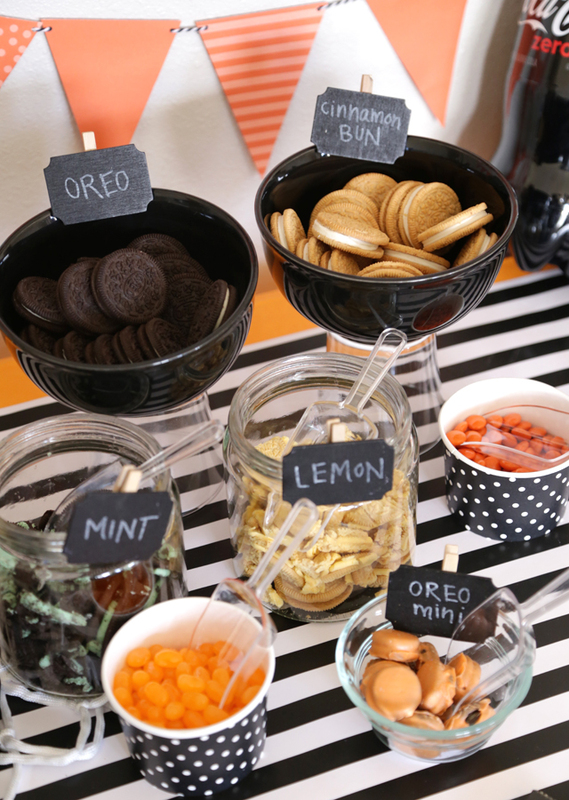 Once the popcorn is cool, you can serve it in a big jar so your guests can make their own custom snack mix! My favorite combinations were Lemon OREO + orange jelly beans and OREO + peanut butter candies. 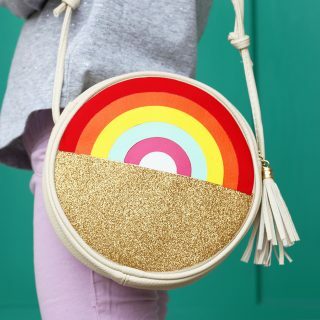 Having individual bags for everyone to fill makes them portable and easy to hold while watching the games. 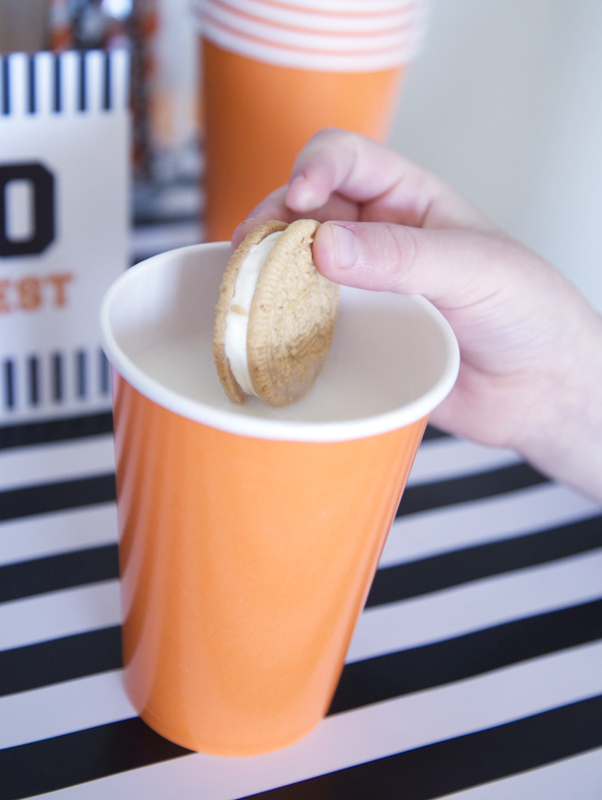 To get the kids in on the fun, we hosted an OREO Dunk Contest! 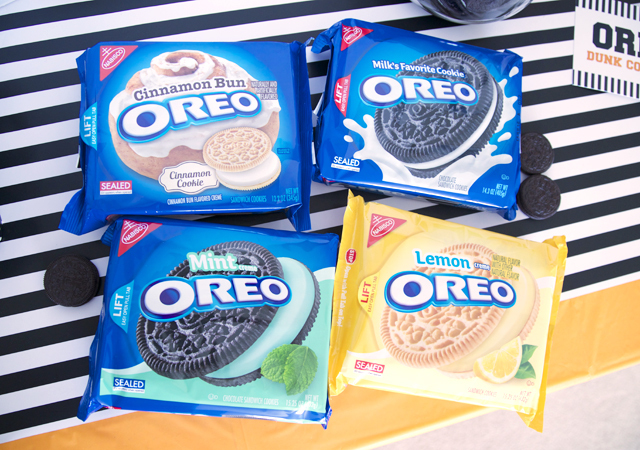 All you need are your favorite flavors of OREO cookies, milk, and some willing contestants (wink). Just like in the real Slam Dunk Contest, you can use these mini scorecards to give everyone a rating! 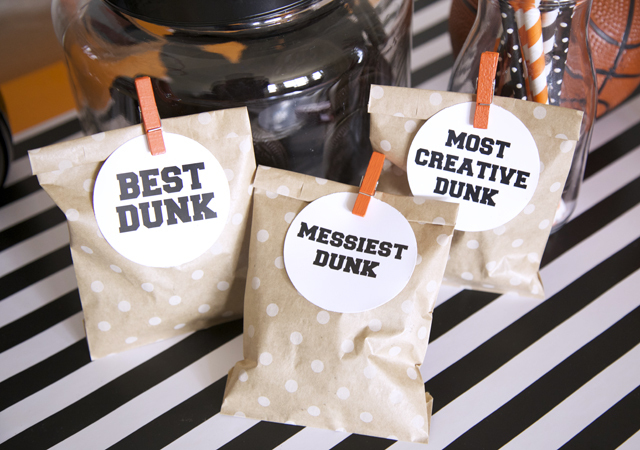 Of course, you have to award the winners for Best/Worst Dunk, Most Creative Dunk, Messiest Dunk, etc. 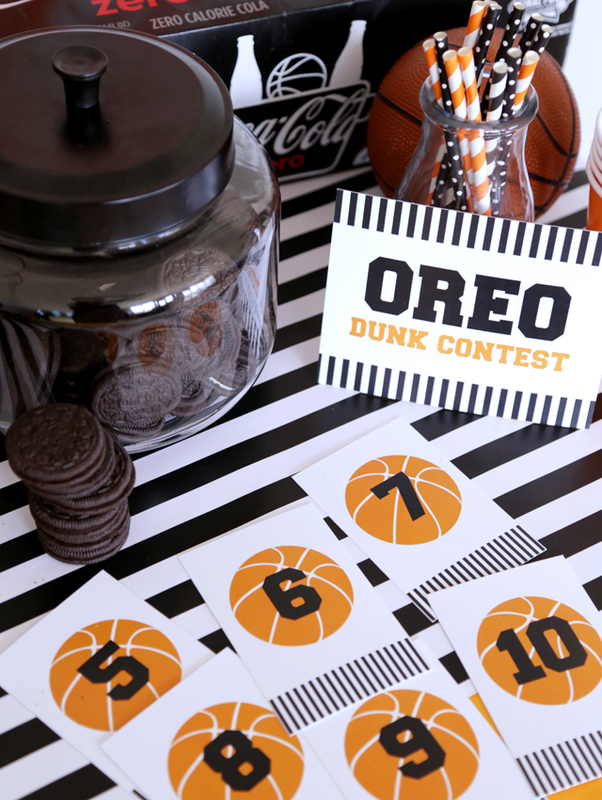 Click here to get all the printables: Basketball Party Printables. After working up a thirst with all that dunking, it’s time for an icy cold Coca-Cola Zero™! 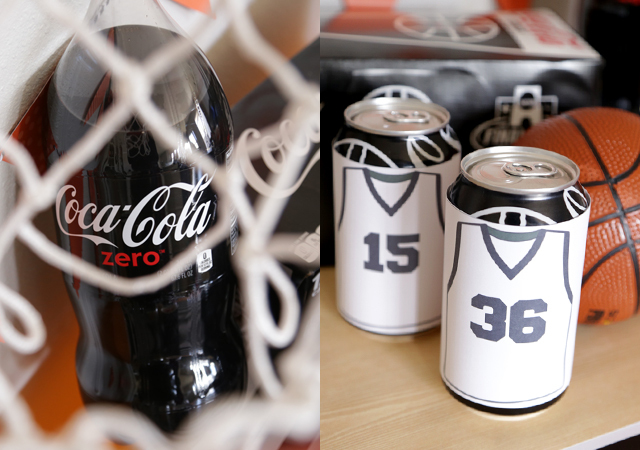 We had fun using the cans as decor, too with printable basketball jersey wrappers. Kids can color in the jerseys to match your team’s colors! 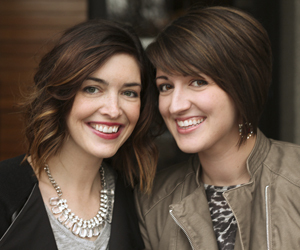 Line up your team on the “court” made of wood-grain scrapbooking paper. 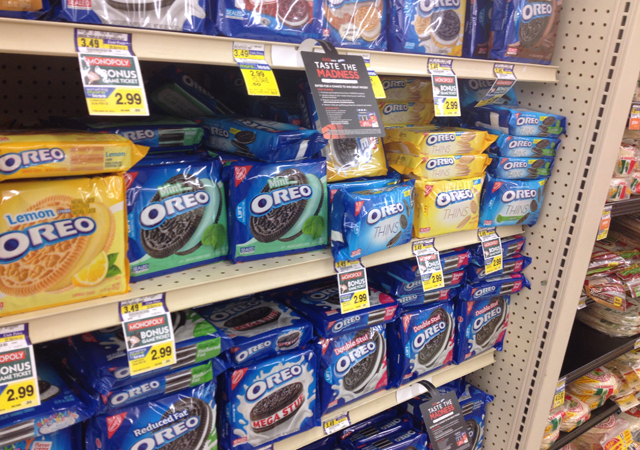 To make sure you’re ready to Taste the Madness, stock up on OREO cookies in tons of delicious flavors and Coke Zero in cans and bottles at your local Albertsons. 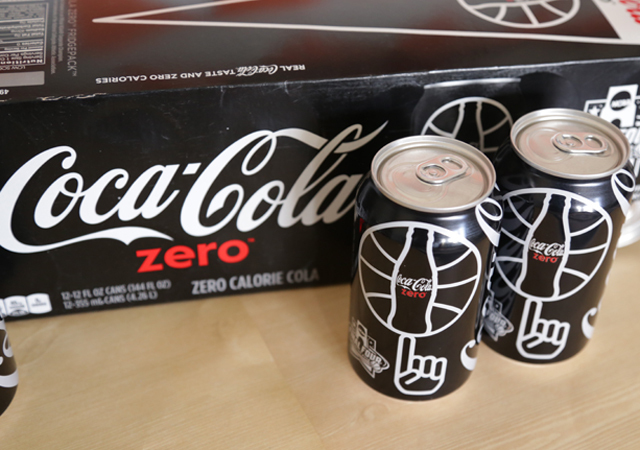 Be sure to visit cokeplaytowin.com/tastethemadness for a chance to win NCAA prizes!